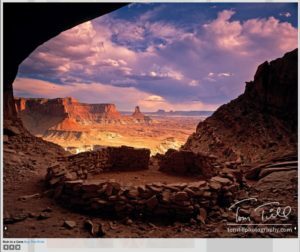 ← Previous: "Go With the Flow……unless"
Sadly, there are a number of people who consider themselves photographic leaders and experts, with the requisite books and accolades, who are some of the worst offenders. To them, the shallow results are the priority—impress the masses—with the experience simply a means to an end. And many of them will tell you to your face, Bruce, that they agree with you 100%, then go on to secretly look for another easy cliche. Nothing is harder, yet nothing is more rewarding, than being unique. For myself being unique is easy and comes about quite naturally. Being unique and significant or important if you are in to that might be very difficult, C.
Well said Bruce! I took a rather nice photo of Horsetail Fall back in the ’90s, but I never printed it, or sent it to publishers, or did anything with it, because I knew it wasn’t my photo – it was Galen Rowell’s photo. Of course many photographers have followed and have felt no such compunction. 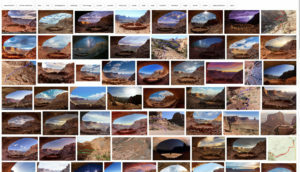 At this point the event has taken on a life of its own, and the vast majority of people who photograph Horsetail Fall don’t even know who Galen was, just like the vast majority of photographers who visited False Kiva had no idea who Tom Till was. But somebody had to be the first to copy Tom’s image and publish it, knowing that they were copying someone else’s photo. And somebody had to be the first to copy Galen’s image and publish it, knowing that they were copying someone else’s photo. I don’t understand that mentality, but apparently some people have no qualms about copying other people’s photographs. Or maybe they do have qualms, but the desire to make a sale or make a name for themselves overrides whatever doubts they might have. I must take a different point of view, Bruce. I remember having a an opposing discussion with Chuck Kimmerle at a Moab Symposium a few years ago. Perhaps his own brand of humor made him sound flippant, almost elitist about the concept of creating images of known places. I agree that if an image has been taken time and again and published as original art in the same fashion, it gets dull and loses its interest. But why undignify someone for visiting a beautiful place and at least trying to compose something with the known beautiful subject in the image? So if you travel to Rome, will you not try to capture an image of the the Colloseum just because so many others have done it before? I believe if you take that stance, then part of your argument is undignifying the place itself. Being a respected artist, you’re among the first to say that an artist experiences places differently than most and usually needs to stay within a space for enough time to absorb and be absorbed into it. If you take the stance that you would not shoot the Collosseum, you would likely be short changing yourself in experiencing the place for yourself. So before heading out somewhere to make some images, should you check online if someone has already posted an image of the subject? If so, how many posted images of the place would make you roll your eyes? If so, will you change your travel plans? I hope not. Because you would be short changing yourself of the opportunity to visit and experiences places with your own vision and sensitivities. You would also be short changing your admirers, students, etc of that too, myself included. I remember first meeting you at House on Fire years ago. I was with my then-wife and was just finishing up shooting that place for the first time. You arrived and were disappointed that the best light had already passed in order for you to capture the scene. I’m sure you had already taken some images of that iconic scene before, as many before you had. I remember asking you about another place in the general vicinity, made famous by John Sexton. Your answer was cogent. You said you wouldn’t tell me because I should do the research myself. If places such as those are publicized, too many people would trample on it and destroy it. Makes sense. The “too many people have been there and done that” argument makes less sense to me, and I speak as an admirer of your work and select others from the Moab Symposium. As usual, I completely agree with you, Bruce. For a student of photography, there is certain learning value in replicating the work of a “master”, but at some point the student needs to graduate and start creating unique work of their own. Perhaps there are simply a lot of photographers out there who just have no interest in graduating? If so, they are missing out on the incredible satisfaction of creating something original that adds to the ongoing conversation about photography and art. Charlotte! I like the graduation analogy. Some people are trying to skip class, or go to school, but not to class or spend all their time at recess while awaiting an honorary degree. Nothing really does like just doing it, day after day, over and over, year after year…….and I don’t mean chasing down someone else’s rainbows, but finding those important and perhaps fewer gems that are truly our own! I have two stories I’d like to share. The first is that totally by accident, I discovered and photographed a young tree that grew in front of a large granite boulder in Happy Isles area in Yosemite. I loved the juxtaposition of that tree with moss and flecks in the bark that mimicked the boulder. I was proud of my photograph, but it never got printed or shown before I saw an image that William Neill had printed as part of his collection that was shown/sold at the Ansel Adams Gallery in Yosemite. That was MY tree and rock!! So closely composed to mine, but of course he had never seen my photo either. 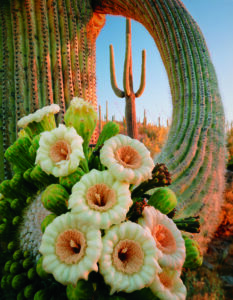 He did a beautiful job with it, and I respectfully put my picture aside after seeing the brochure promoting his picture. It just wasn’t going to feel right to put my own out there when his had gained exposure by that time. Second story: In April 2016, after speaking at your Photographers Symposium, I stayed around to explore new areas and visit some known places I had never seen. 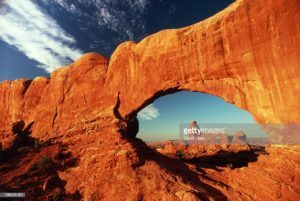 I had never been to Mesa Arch, after many years of photographing in the Moab and southwest, because it had been ‘done’ by so many. I typically asked myself ‘what am I going to get that hasn’t already been done?’ what underlay that question at that time was more like ‘what chance do I have of selling my photo of a place that has been done so well by the likes of Tom Till, Ansel Adams, David Hiser, David Muench…whomever?’ Because of that kind of thinking, I typically go down my own path and seek out unique vision, and if I visit an iconic location I try very hard to do something different with it. 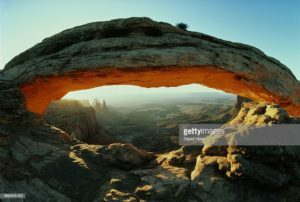 That’s hard in places like Mesa Arch, and yet I was drawn to experience it. I thought, what the heck? I want to see it at least, for myself. Of course I brought a camera, etc., and I got there early, too. 🙂 But I was not alone. I joined a group of 8 already there, and by the time the light was getting right, there were over 45 people jockeying for a position! I had people reaching over my shoulder with smartphones to snap a photo when the light got going. In the end, the experience was marred by the crowds. I’m glad I finally saw it, but did I experience it? Not in the way I had hoped. I had hoped among other things to hear the desert birds as they awoke and to celebrate the way the light bathed the rock as it rose. I was instead exposed to chatter, lots of jostling for position, and the concern of making sure no one knocked my tripod over! We can’t control the fact that way more photographers exist now because digital made entry into photography so much easier for so many. Nothing we can do about that, but what we can do is try, as you are here, to share the importance of finding your own path no matter where you are. Teach creativity, teach the value of unique vision, to those that come to learn from us; that’s about all we can do. And I’m thankful that there are those of us out there willing to do just that. Thanks for posting this topic!